On the west coast of Jamaica there is a wonderful community, providing fun and excitment for visitors. Jamaica caters to visitors and locals alike, providing beautiful landscapes that all can appreciate. Negril is known throughout the caribbean for it's incredible beauty, attracting throngs of visitors to it's shores. The government of Jamaica has wisely embraced this attraction and has taken measure to preserve it. 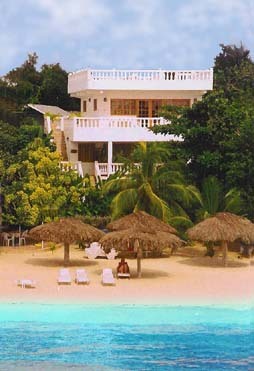 One example of such measures is a law that , no building within Negril may be taller than the palm trees that surround it. This locale prides itself on it's natural beauty, and has passed many other such measures to ensure it's safety for future generations of locals and tourists alike. Such measurs have been applied not only in Negril, but throughout the whole of Jamaica. Jamaica's natural splendor includes over 100 rivers and splendid beaches. Of all the islands in the Caribbean, Jamaica boasts one of the most diverse landscapes and favorable climates throughout the entire year. Another factor that has put Jamaica among the most highly visited of all the Caribbean islands is the fact that Jamaica is home to the largest Enlglish speaking population in the caribbean. Jamaica's unique music and food is also a great draw for visitors. Reggae music is among the first things that comes to one's mind when they think of the Jamaica. But while raggae music may be Jamaica's most popular export, Jamaica is also an exporter of many other well known things, such as Blue Mountain Coffee, which is known as one of the most prestigious types of coffee in the world. This delicious coffee bean grows only in the Blue Mountian region of Jamaica, and fetcges a high price throughout the world. Among other things that Jamaica is famous for is underneath it's clear turquoise waters. Ask a scuba diver where the best reef diving is and he'll tell you one place - Negril Jamaica. For guests who want to take tours, the resorts offer several tours such as Rafting on the Martha Brae River or at Mountain Valley, All Around Mobay, and Great River Revelry. 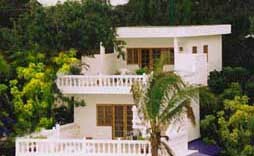 Numerous fun and thrilling activities, sports, and recreation for active guest are also offered by the resort such as fifty-one swimming pools, Jacuzzi, golf, tennis, sailing, windsurfing, deep sea fishing, scuba diving, horseback riding, show jumping, arena polo, squash, cricket, putting, bocce, and a lot more. The legacy that Bob Marley has left behind is much more than just music, but is a reflection of the island's culture and way of life. Many Jamaicans define themselves by the priciples and ideals embodied in Bob Marley's message, and this message has spread far beyond the islands borders to reach the whole of the world. The Island of Jamaica has a great diversity of plant and animal life, and on your trip to Negril you are likely to see many of them in the vicinity of your villa. Expect to see geckos, crabs, and a wide variety of birds, including the lovebird, the national bird of Jamaica. The lovebird is a large type of hummingbird with extremely long plumage in it's tail. Also expect to see an incredible variety of marine life in the waters surrounding the island. Rays, colorful reef fish and sea birds are common sights along Negril Beach.